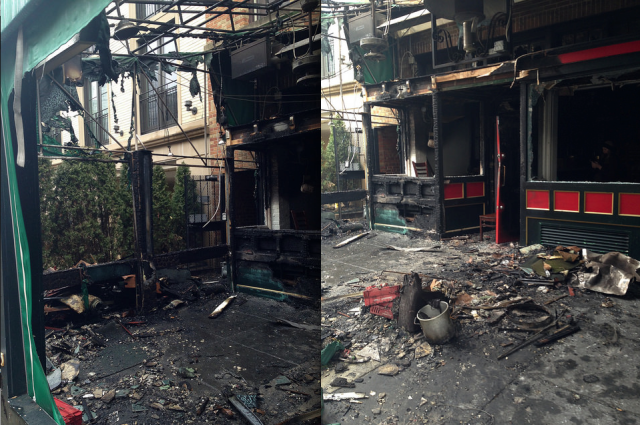 Thanks to a reader for sending these devastating photos Saturday morning from a fire in the former Murphy’s/future Bar Civita [“A modern American and Italian influenced restaurant in historic Woodley Park in Washington, D.C.“]. I’ve sent an email to the Bar Civita folks and will update when I hear back. Hopefully it won’t push the planned opening too far back.